THE GloFX ORIGINAL FESTIVAL KALEIDOSCOPE GLASSES ARE 2-3x MORE INTENSE: The GloFX Clear Translucent Frame Kaleidoscope Glasses with REAL Multifaceted Rainbow Multi-Color Fractal Crystal Glass Kaleidoscope Lenses use Rainbow Spectrum Technology offering the STRONGEST effect available. These hand polished clear frames contain multifaceted Rainbow Kaleidoscope Glass Crystal Lenses making the GloFX Kaleidoscope Lenses 2-3x MORE INTENSE than what others might offer! 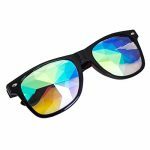 DURABLE LENSES: GloFX high quality rainbow multi-color fractal Kaleidoscope Glass Crystal Lenses are built tough to provide impact resistance and are backed by our 100% customer satisfaction guarantee. 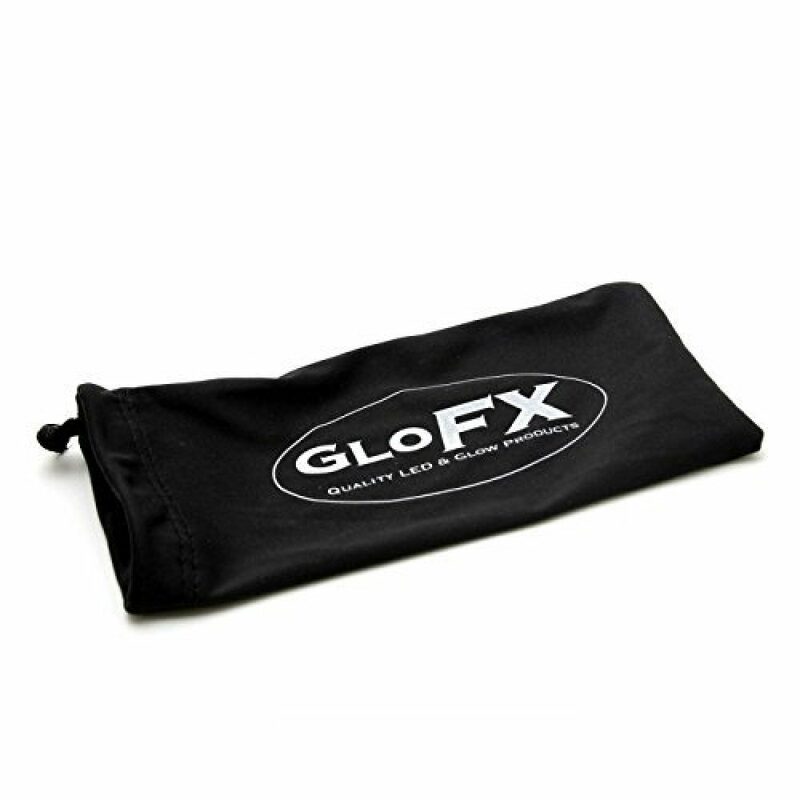 ASSEMBLED IN THE USA: The GloFX Clear Frame Kaleidoscope Glasses with REAL Multifaceted Rainbow Multi-Color Fractal Crystal Glass Kaleidoscope Lenses are proudly assembled in Tallahassee, FL, USA. Step into the festival wearing the latest in style and fashion. 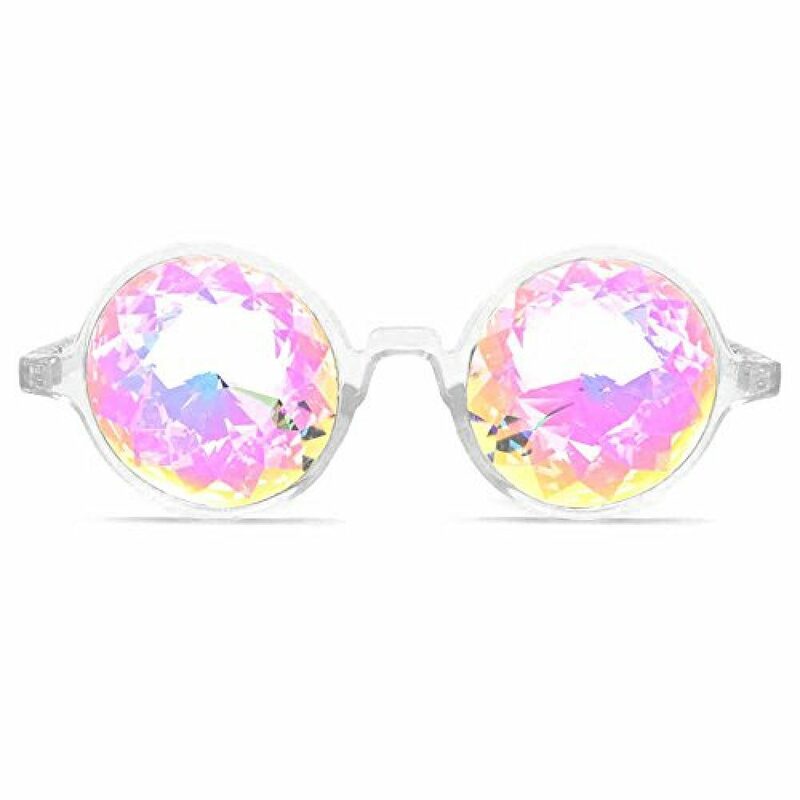 The stylish glasses frame paired with the rainbow crystal lenses combine to make a product that is understated enough to pair with every rave outfit, but still unique enough to ensure you will stand out from the crowd. The exceptional design of our Kaleidoscope Glasses are sure to be a hit! 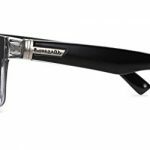 The prism style optic of these glasses magnifies one image into many through a sophisticated multi-faceted crystal lens. 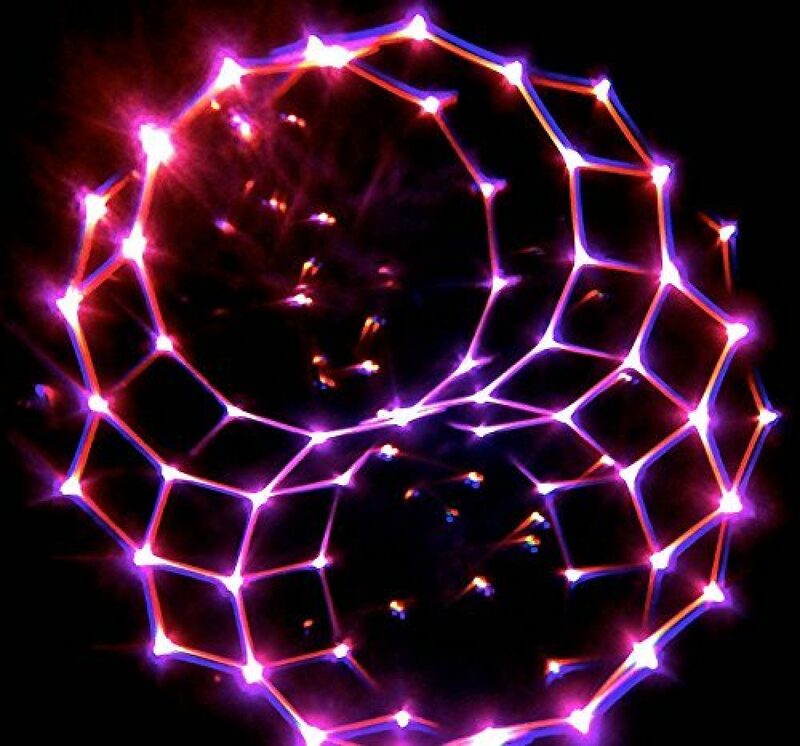 This effect is more similar to that of a “bug eye” rather than the rainbow lines of gradient light diffraction. The strange shapes, colors, and angles of GloFX Kaleidoscopic lenses create a mind blowing experience suited for the brightest imaginations. This sensational visual trip will stimulate your mind and body like never before, and quite possibly pull you into a state of trance. From the ground up, these luxurious glasses are intricately designed and handcrafted, paying the highest attention to quality. Each frame is hand polished and paired with carefully selected glass crystals. Our crystals are made from high-grade optical glass and produced for maximum light transmission. You will not find a finer pair of Kaleidoscope Glasses on the market today.